911 Mesa Roja Trail Rio Rancho, NM. 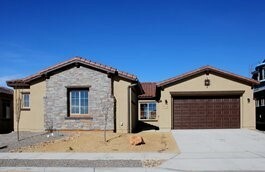 | Albuquerque Real Estate Company Specializing in Residential Home Sales & Buyers Representation, Commercial Sales or Acquisition, and Commercial Property Management. Call Real Estate incorporated (505) 433-3100 for all your Real Estate needs! Pulte New Construction ready now! Move in next week!